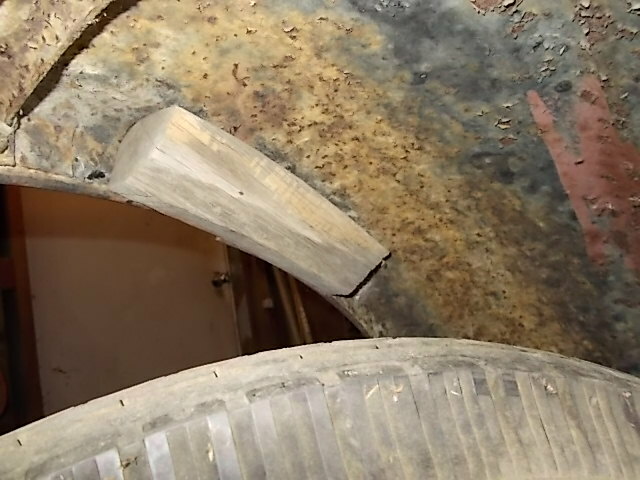 Model T Ford Forum: The perfect repair for a cracked front fender. The perfect repair for a cracked front fender. 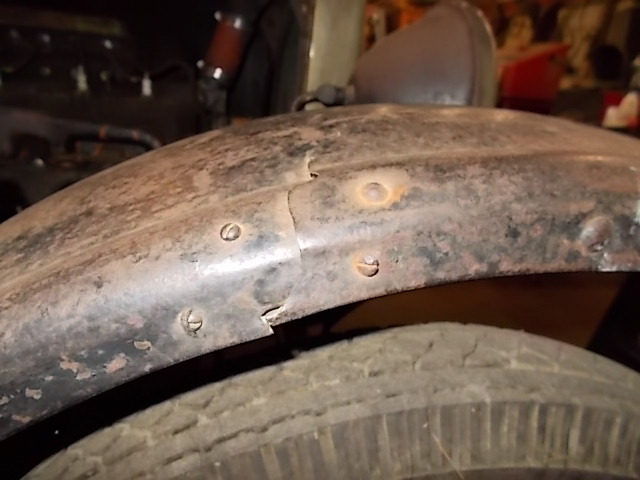 Model T Ford Forum: Forum 2018: The perfect repair for a cracked front fender. I have been working on this 27 coupe I recently bought. Thought this was a good repair some one in the past did to the fender. I should leave it but might weld it. Depends how much body work I do on it. I like it Jim. That fender is better that what Im running on my 26. I'm going to use that repair on my '27! The previous owner used old coat hangers for welding rod, but this is a much better fix.